The sign at the main gate of the station - March 1966. 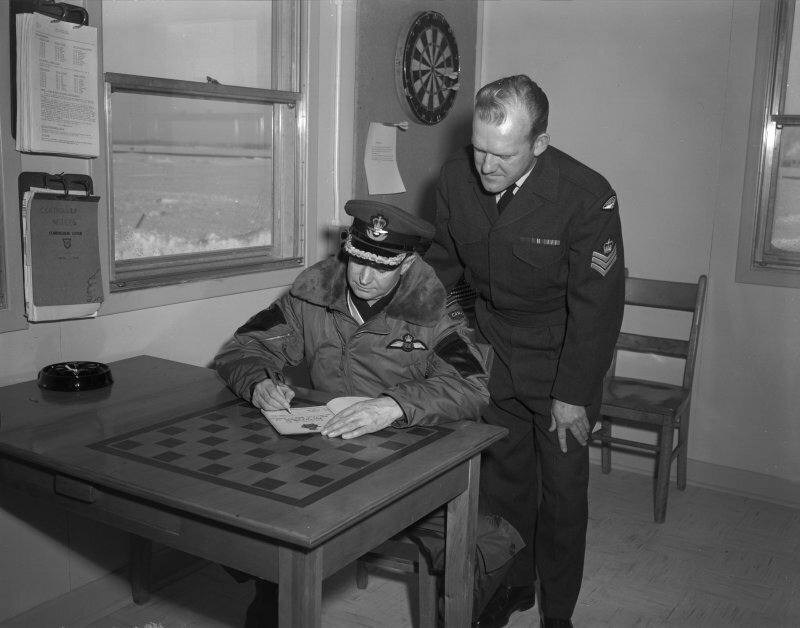 G/C Annott annotates F/S Robbins logbook on his 10,000th GCA run - 19 May 1965. 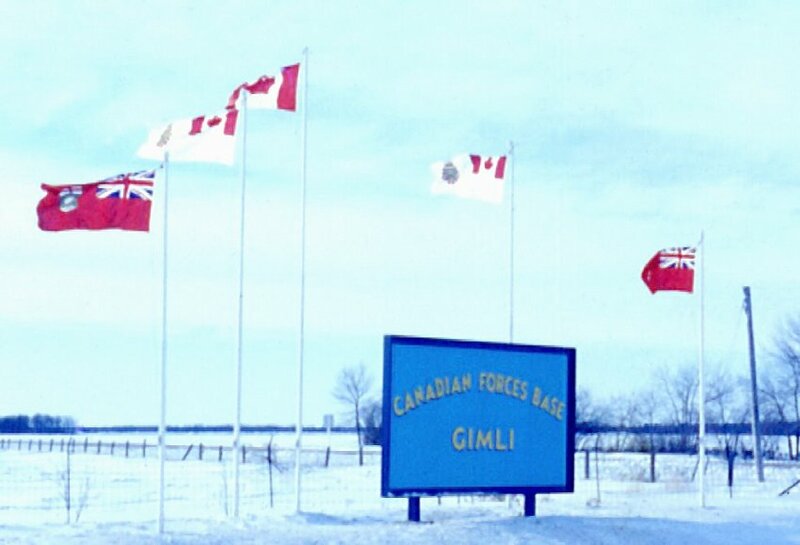 Courtesy Canadian Forces Joint Imagery Centre. The "Smokers" taxi out on the ramp at Gimli led by F/L Brodie Partington - June 1963. 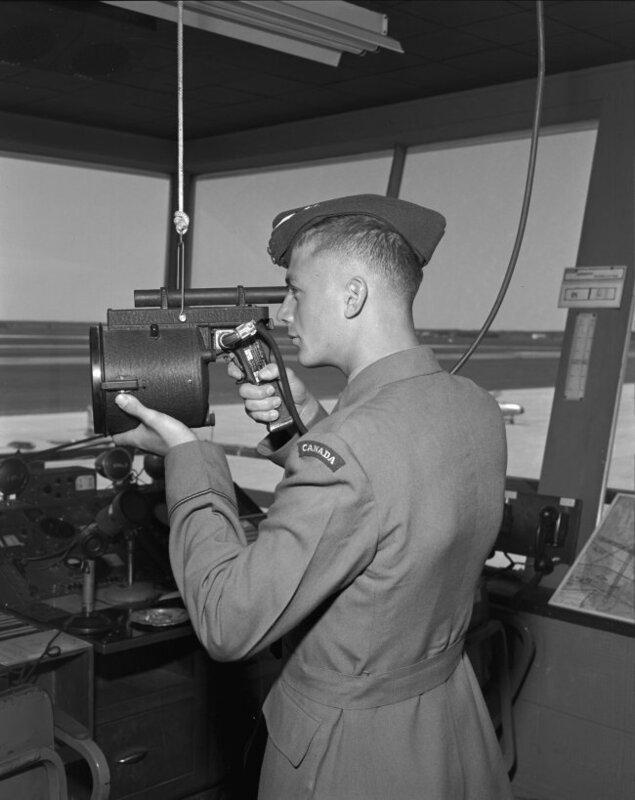 Flight Cadet RW Finnigan working in the control tower at Gimli - 7 April 1961. 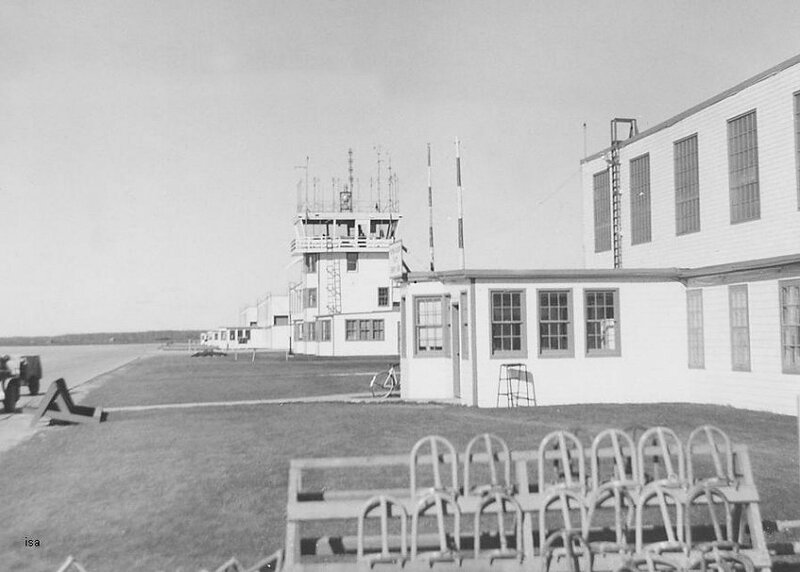 Control tower and the flight line at Gimli - October 1960.